Laura Mercier creates a new Foundation Primer with a touch of sheer, sunlit warmth. This hydrating, water-based gel preps skin with a healthy glow and creates the perfect canvas for makeup. Enriched with Jojoba Oil and Vitamins A, C and E, it kisses skin with a golden pearl tint creating a soft-focus, fresh-from-the sun finish. Leaves skin ready to perfectly embrace foundation, keeping it renewed and colour-true for hours. Perfect for all skin types. 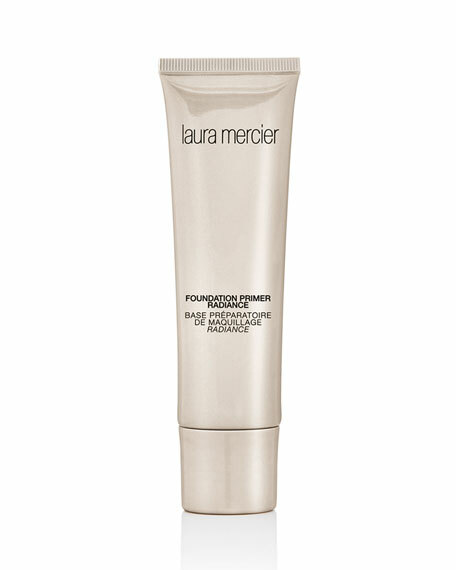 Apply over moisturizer or onto clean skin before a Laura Mercier Tinted Moisturizer or Foundation.